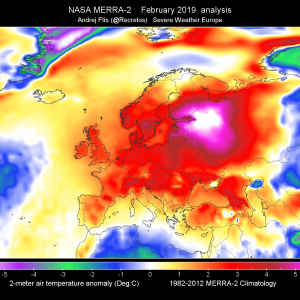 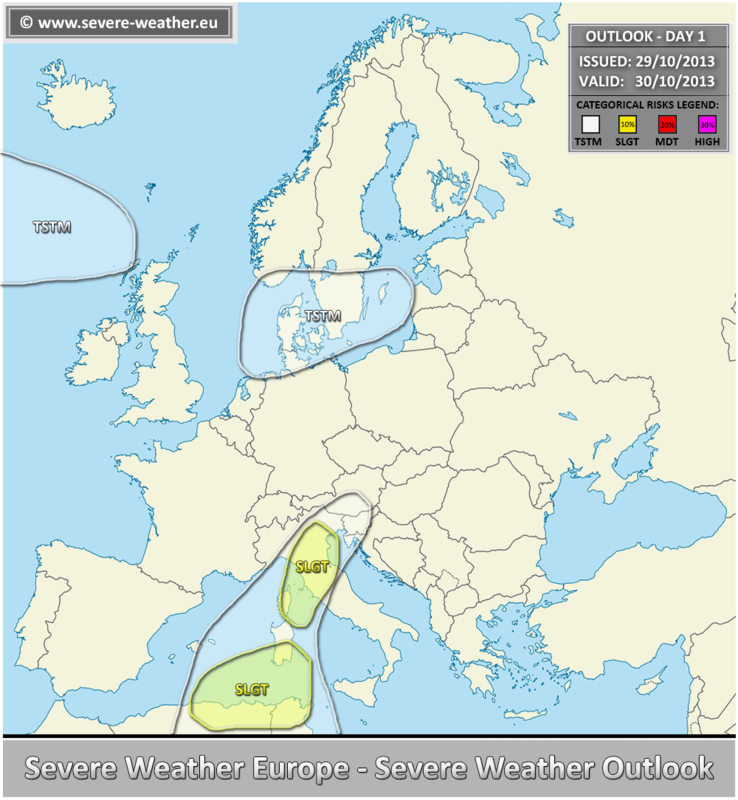 A short wave trough crosses central Europe, an upper low remains stationary over SW Mediterranean. 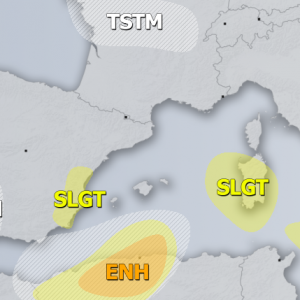 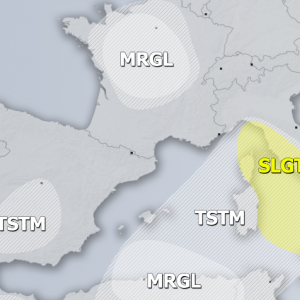 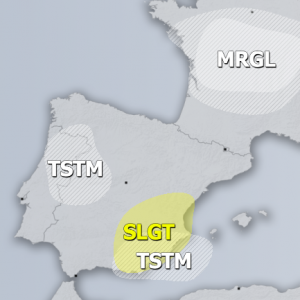 A SLGT risk has been issued for northern Algeria and Tunisia with threat for heavy rain, large hail, severe winds and tornado / waterspouts. 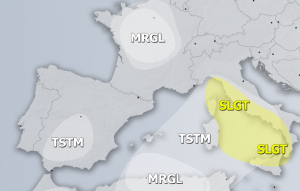 A SLGT risk has been issued for parts of N Italy with threat for heavy rain and some threat for strong winds and marginal hail.